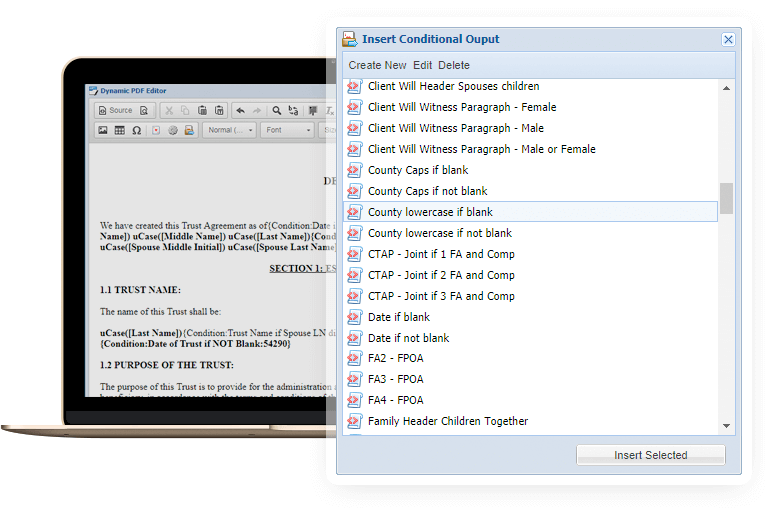 Use conditional content to build advanced PDF output using the Dynamic PDF engine. Conditional Content is content that is shown based on rules you define. Change paragraphs in a lease, will or bankruptcy document, on-the-fly with a few simple rules. Conditional content makes it easy to change sections of your output based on what was submitted through your forms. Imagine being able to assemble a legal document with different paragraphs conditionally and then generate a PDF. You can even send get the PDF signed securely online using an electronic signature.